In other words, it’s all those parts that aren’t actual muscle tissue, including bones and organs, but not hair/feathers, hooves/horns/nails or teeth. A common misperception is that by-products are the parts of an animal that aren’t used for human consumption; this is not true! Some of these by-products are consumed by people (organs, stomach, intestine), but others are not. By-products are useful parts of animals otherwise being used for human consumption. 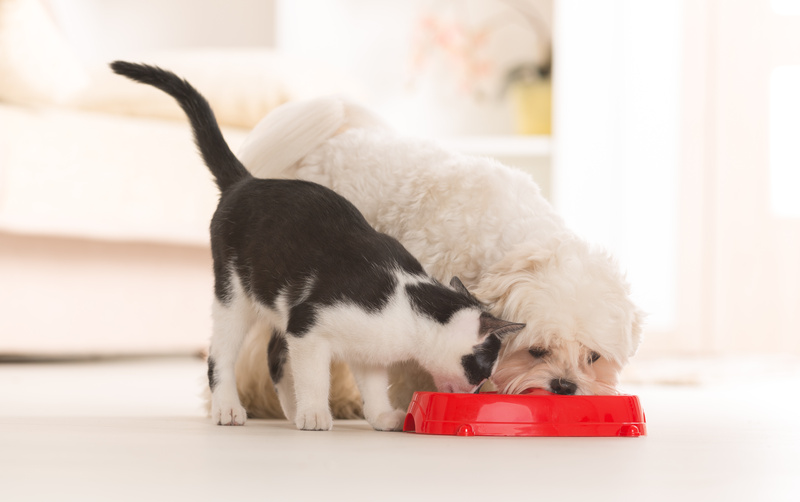 Use of by-products in pet food allows for another important protein source other than whole muscle and also provides additional nutrients that your pet can’t get from muscle alone. It’s also cheaper than whole muscle – not in quality, but in cost. Think of how much you pay for beef or chicken at the store. Even in a ground state, it’s still expensive. Think if your pet ate 25-30% (an average protein content in pet foods) of your ground beef or chicken twice a day, how expensive that would be! Your pet does not mind the by-products in their food. It’s actually a natural way of eating for your pet and provides your pet with a well-rounded diet. Granted, pets have been domesticated for quite some time, but their wild counterparts eat almost everything of what they catch. Also, if an animal was only used for whole muscle products (steaks, chicken breasts), think of the waste that would occur if by-products were not utilized! By using by-products in pet food, we allow for full utilization of the whole animal, as well as providing additional important nutrients in your pet’s’ diet. As always, if you have any questions about the best nutrition for your pet, please contact us!